If you're a survivor, it's important to take one day at a time. Let 101 Tips for Survivors of Sexual Abuse be your companion in healing and you'll be reminded of the strength and wisdom that's already inside you. This book will help you celebrate the good days and develop solid coping strategies for the bad times. Most importantly, this book will remind that you're not alone and it was never your fault. "You can never have too much support as a survivor. Amy's little pocket book is great to carry around to remind yourself that you can all thrive after sexual abuse." 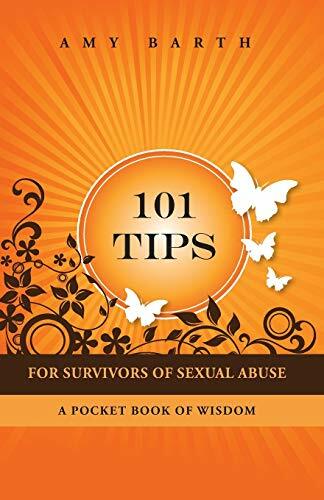 "101 Tips for Survivors of Sexual Abuse has excellent ideas and thoughts to build up your self-esteem and give you courage for your journey." "101 Tips for Survivors of Sexual Abuse used as an adjunct to recovering from sexual abuse at any age can help guide the survivor toward releasing emotions and breaking the internal silence of trauma." "I have just read 101 Tips. Every one of them fits my 30 years of experience in this field."